While the current Samsung Gear VR is great as an affordable way to enjoy virtual reality using your Samsung smartphone, it’s not in the same league as HTC Vive or Oculus Rift. That may be about to change. 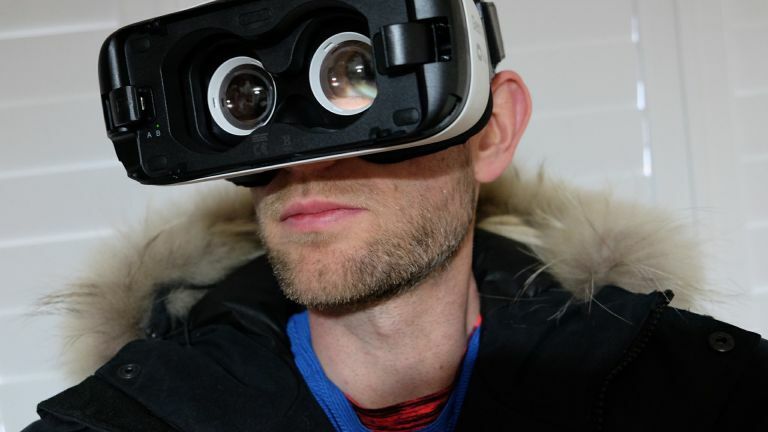 A recently published patent has shown off Samsung’s potential plans for its next virtual reality headset. According to the documents the new Gear VR could feature both eye and face tracking. The result should be a far more immersive VR experience. It may even be able to detect facial expressions. Current HTC Vive and Oculus Rift headsets, which are powered by full-on computers, are complemented by sensors that detect their location in relation to the room. In the case of the Vive a wearer can walk around the room in reality and be moving about a virtual room within the headset. Currently the Samsung Gear VR experience is limited to stationary actions with only head based movements from that single position. The new electrographic and infrared sensors for eye and facial tracking could help to improve that experience to allow for more factors to be taken into account. While it still might not be able to offer in-room movement detection, it could offer controls using blinking and react to responses like smiling, making interactions far more natural and simple. Of course this is all patent territory now so when this will appear is anyone’s guess. Here’s hoping it makes an appearance with the new Samsung Galaxy S8 which is expected at Mobile World Congress in February 2017. Samsung working on eye-watering 2,000ppi screens - coming to a new Gear VR? High quality, Oculus Rift-powered VR for £80 or $99 has got to be a deal, right?